​Manchester United are preparing to step up their interest in £10m-rated Norwich star Ben Godfrey amid a meteoric rise for the defender with the Championship leaders this term. 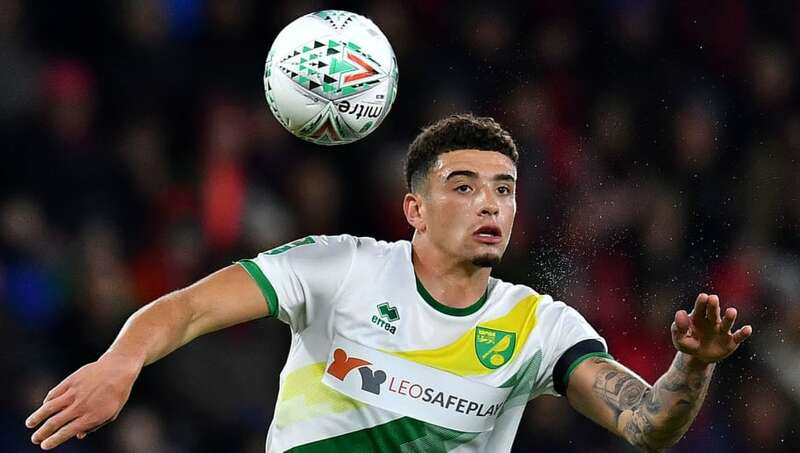 Godfrey has not missed a single game for the Canaries since breaking into the first team at Carrow Road at the turn of the year, and the 21-year-old has been a key figure in defence as Daniel Farke's side push to win the Championship title. The defender looks set to inspire his side to promotion to the Premier League, but has apparently caught the eye of multiple clubs in the top flight already. According to ​The Sun, ​Manchester United are among the interested sides, and could be set to make the first move. Godfrey's form for ​Norwich has earned him a call-up to the England U20s side, and has also impressed United scouts, most recently when they watched him in action against Rotherham last week. The young star scored a crucial goal to seal victory for his side on that occasion, and his abilities both in defence and in playing forward have apparently prompted United to ramp up their interest in Godfrey, who is valued at £10m by Norwich. That fee would seemingly represent good value for a young defender with such potential, by contrast to the reported figures required to sign some more elite names from around the continent such as Matthijs de Ligt and Kalidou Koulibaly, who would likely cost around £100m. Also being a homegrown player, it is suggested that Godfrey could follow a similar career path to that which Chris Smalling has enjoyed since joining United from ​Fulham in 2010. Smalling has performed reasonably well under Ole Gunnar Solskjaer, but having struggled for consistency at the back this term besides the more recent improvements from Victor Lindelof, United could look to add defensive reinforcements ahead of next season. Eric Bailly's future at Old Trafford appears uncertain, with Solskjaer generally preferring to pair Lindelof with Smalling since taking the reins as manager, and the Ivorian could be offloaded at the end of the season to pave the way for Godfrey's potential arrival.